The Christian book publishing package includes a one-quarter page full color advertisement in Today’s Christian Living magazine. This also includes the design of your advertisement. Today’s Christian Living magazine encourages, equips and engages readers with personal stories and lessons based on the Word of God. The magazine reaches Christian readers of all ages. 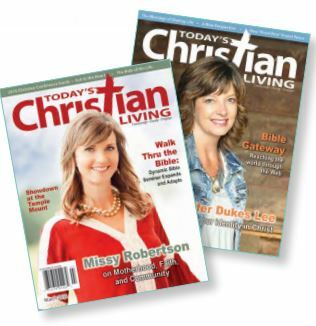 Through their print and increasing digital presence, advertising with Today’s Christian Living will reach any adult Christian who is an avid reader, tithes regularly, supports other Christian ministries and organizations, and enjoys buying gifts and products that help them, their family and their friends grow closer to the Lord. Get your book seen by the people that will be interested in purchasing your book.